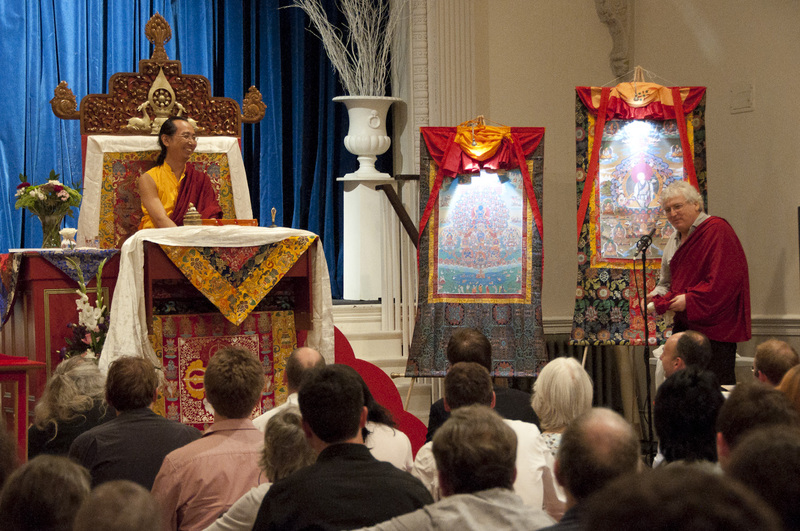 On 15 August, His Eminence Khondung Ratna Vajra Rinpoche, Lama Jamyang Lekshey and entourage arrived in London. In the evening Lama Jampa Thaye made the traditional offering of the Mandal Tensum to His Eminence in the shrine room at Sakya Dechen Ling. 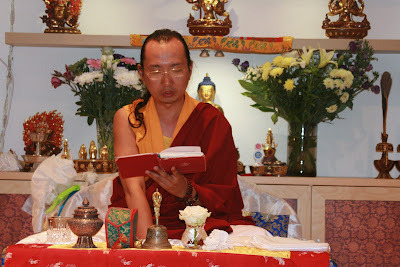 Following this, His Eminence gave the reading transmission for the Manjushri Namasamgiti to members of the Sakya Dechen Ling sangha at the special request of Lama Jampa Thaye. 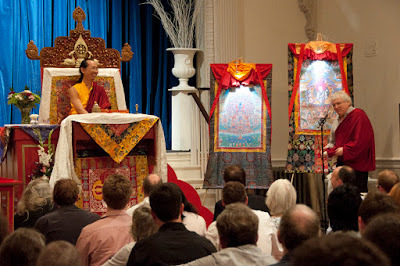 The evening concluded with an evening meal attended by His Eminence as guest of honour. 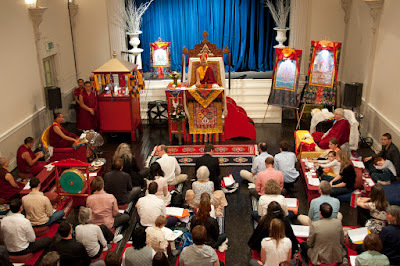 The following day, 16 August, saw His Eminence bestow the initiation of Orange Manjushri in London. This joyous occasion was marked by Lama Jampa Thaye’s speech of gratitude to His Eminence at the conclusion of the initiation. 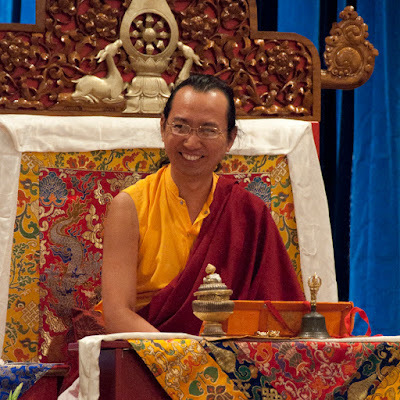 Lama Jampa Thaye noted the auspicious detail that His Holiness Sakya Trizin and His two sons (His Eminence Ratna Vajra Rinpoche and His Eminence Gyana Vajra Rinpoche) had now all bestowed the same initiation of Orange Manjushri on the fortunate sangha in England. 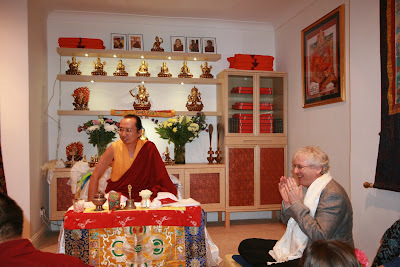 Lama Jampa Thaye also commented on the mixture of sadness and happiness felt by all those present: sadness that His Eminence would shortly be departing to continue His European teaching tour and happiness at the wondrous teachings bestowed by His Eminence during His visit to Bristol and London. His Eminence departed on Thursday, 18 August for Spain to bestow dharma teachings at a number of Sakya Centres.